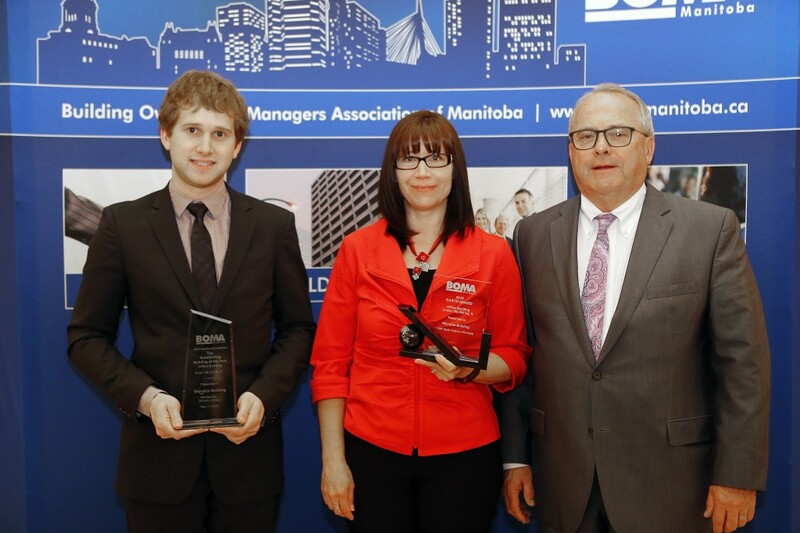 The Building Owners and Managers Association of Manitoba recognized a number of member firms at this year’s annual Awards of Excellence Luncheon, held May 11 at the Fort Garry Hotel. 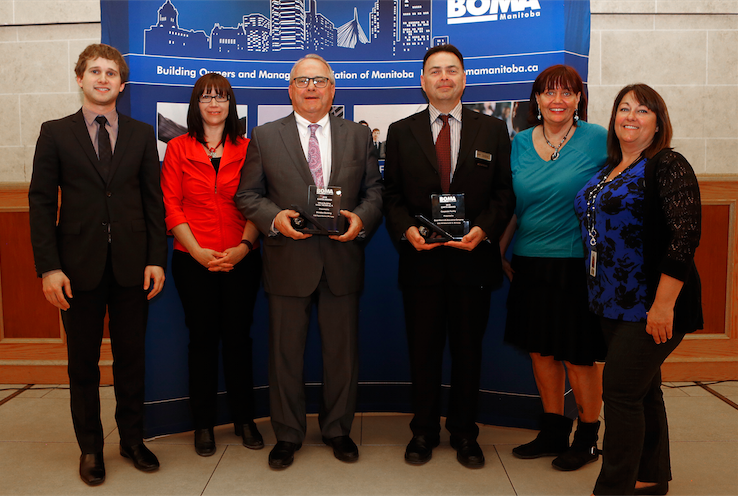 Awards were presented to acknowledge outstanding customer service, environmental responsibility, and excellence in building management. 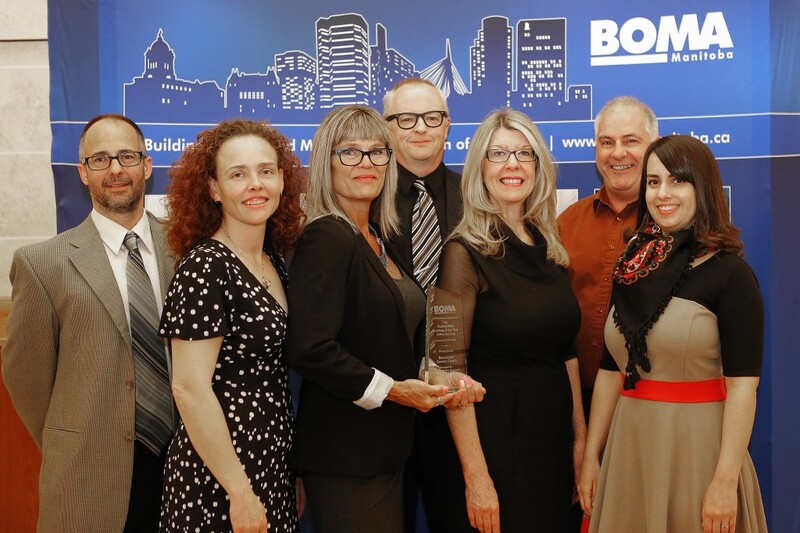 The 2016 Earth Awards recognize BOMA BEST® certified buildings that achieved the highest assessment scores in their respective categories. 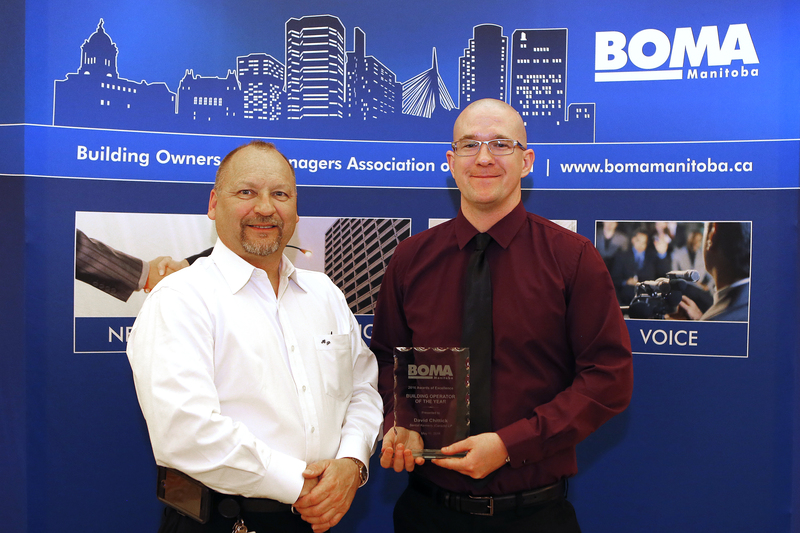 Buildings that were certified BOMA BEST® Level 3 or higher over the last 12 months were automatically nominated for these awards. Shindico Realty took home the TOBY Award (Office Building Less than 100,00 sq. ft. Category). Pictured here (left to right) are Alex Akman, Sandra Sumner, and Bob Downs of Shindico. 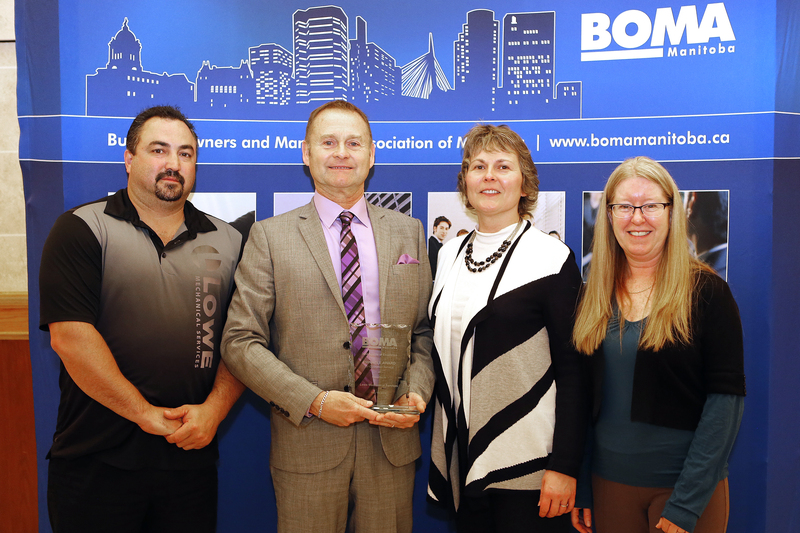 for sponsoring the 2016 Awards of Excellence luncheon.